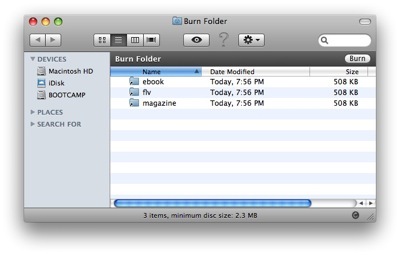 Just learned how to burn data CD/DVD in Mac OS X. have been using Mac for a year, but still havent burn any CD/DVD yet. Mac has built in CD / DVD burning facility by default. Compare to Windows, i feel that Mac has a easier way to burn CD or DVD. 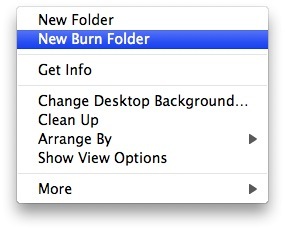 Once you select, it will create a new folder name “Burn Folder”, now double click on the “Burn Folder” and start dragging all the files that you would like to burn into “Burn Folder”. A window will prompt for Write Speed and Label name. Fill up the label and select the write speed, click on “Burn” button” and it will start burning. Just wait for write process finish, and it’s done! « How to enable file sharing in Mac OS X?